Franklin Morris is a Senior Writer for Rackspace Digital—the digital marketing infrastructure specialists. The mom-and-pop shop on the corner probably doesn’t rely on traditional advertising (television, print, billboards, etc.) to bring in customers. Neither does your favorite local burger joint. But most iconic brands have hired an ad agency at some point on their upward journey. In 2014, businesses will spend nearly $545 billion on advertising, and that number is expected to increase by another $100 billion by 2018, according to eMarketer. But there are major brands, with huge market share, who have opted out of the traditional advertising game. Despite their size and influence, these brands have built their loyal followings by co-opting the grassroots, relationship-focused marketing tactics that are often the domain of smaller businesses. There’s no shortage of companies competing for your breakfast dollars. Starbucks, Wendy’s, McDonalds and even breakfast newcomers like Taco Bell all rely on TV commercials and paid advertising to draw you into their restaurants. Breakfast is booming after all. According to Slate, breakfast food sales amount to $65 billion annually, and they’re rising by an average of 4.8 percent a year… all while other restaurant sales remained flat. This makes the Krispy Kreme success story even more remarkable. The doughnut giant built its empire—with sales topping $1.07 billion in its best year—entirely on word-of-mouth marketing. “Everybody at the stores is a marketer,” the company’s CEO told Forbes. 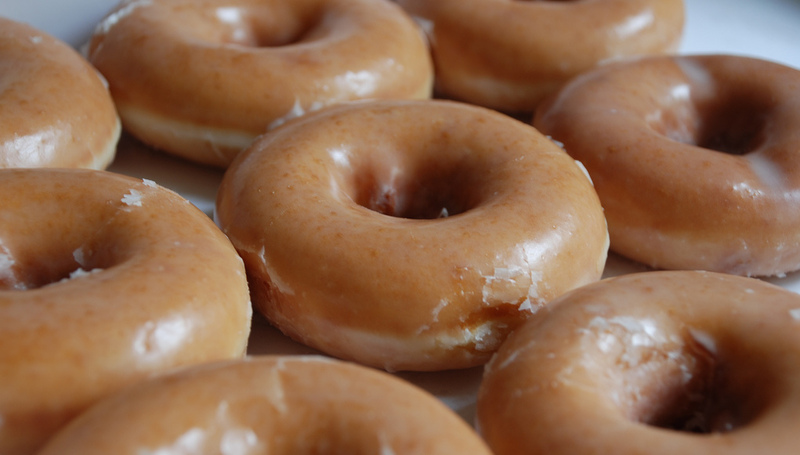 The Huffington Post reports that, in lieu of expensive TV spots and print ads, Krispy Kreme instead relies on its network of nearly five million Facebook followers. It’s clear that its bet on customer loyalty has paid off. Visit its profile and you’ll see hundreds of fans uploading photos of their doughnuts and begging the company to open new locations closer to them. Building customer relationships through emotional, personal connections has been central to Krispy Kreme’s long-term success—the company turns 77 this year. The Great Recession made us all into budget-conscious shoppers, and Costco is reaping the benefits. Over the last few years bargain warehouse retailers have experienced significant and sustained growth at a rate of four to five percent per quarter, according to Forbes. Today, Costco is the second largest retailer in the United States—bringing in over $100 billion in revenue annually—and it didn’t get there by running TV commercials. Despite the fact that it’s going head-to-head with retail giant Wal-Mart, Costco continues to embrace an unorthodox advertising strategy: no advertising at all. 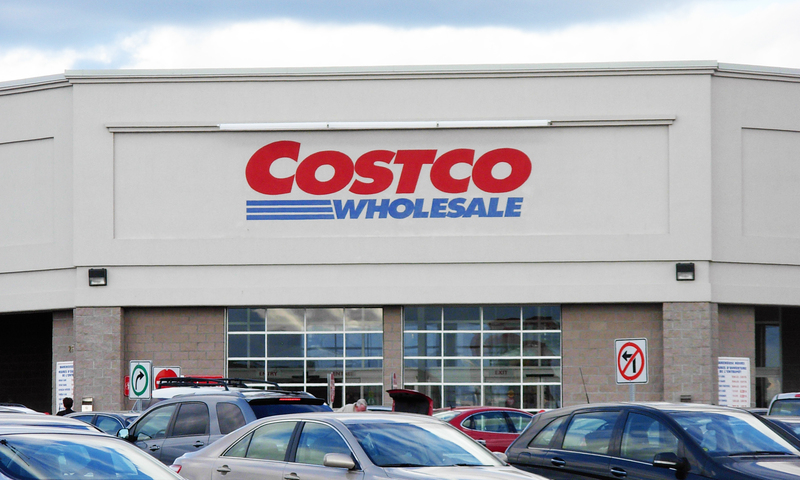 Not advertising could be seen as a handicap in such a competitive industry, but Costco turns it into a business advantage. According to the New York Times, this strategy allows the company to save and reinvest two percent of its annual budget. Instead of viral videos and magazine photo spreads, Costco aims to engender customer loyalty through discount coupons and a strong mailing list. It differentiates itself from competition by offering top quality, high-end products from luxury brands like Coach. Additionally, its subscription model of annual membership dues, which requires an ongoing investment, increases the odds that customers will become repeat shoppers. Even if you’ve never set foot in an Asian restaurant, you’ve likely encountered the ubiquitous Sriracha rooster. In the last several years, this mouth-burning condiment has become something of a cultural force. Search on Etsy and you’ll find all manner of fan-produced memorabilia—from Sriracha t-shirts and bumper stickers, to baby onesies and charm bracelets. Culinary spinoffs include Sriracha Kettle Chips, cocktail salt and—somewhat questionably—a Sriracha-Salted-Caramel flavored MoonPie. Meanwhile, bottles of hot sauce are flying off of store shelves. 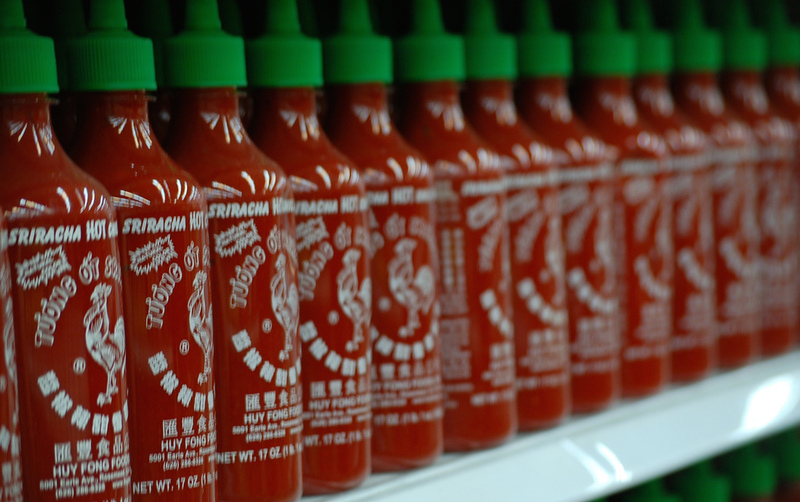 Sriracha sold 20 million bottles last year alone. How does a niche hot sauce rise to prominence without advertising its products? The company’s CEO David Tran contends it is by focusing less on business and marketing, and more on making a great product. “I don’t advertise, because I can’t advertise,” Tran told Quartz. Tran isn’t even sure where his products are being sold. “At the very least, I know that on the bottle there is English, Chinese, Vietnamese, French and Spanish,” he says. The company doesn’t have any official social media presence, and its website hasn’t been updated since 2004 (seriously, it still uses frames). 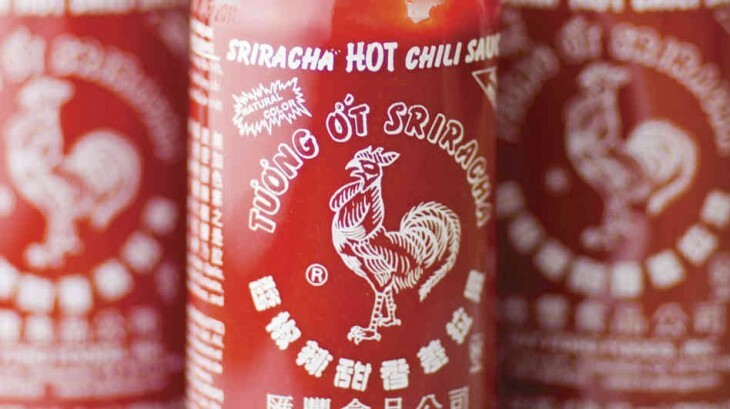 Sriracha is an example of making an amazing product and letting consumers do the rest. In short, its philosophy can be summed up as: If you bottle it, and it’s awesome, they will come. GoPro, maker of high-definition personal cameras for adrenaline junkies, does do some traditional advertising. But that’s not how it built its loyal following of nearly 2.6 million YouTube subscribers. Its YouTube channel is packed with videos of customers skydiving, base jumping and deep sea diving. Whatever your extreme passion, GoPro has a vertigo-inducing, user-generated video for you. Rarely a week goes by without a GoPro-filmed feat going viral on Reddit or Facebook. This media strategy, explored in greater length in a previous article on The Next Web, is resonating with customers to the tune of 3.8 million cameras sold last year, according to CNN money. It’s an example of a company knowing its market, and fostering a content strategy that allows fans of the product to share their experiences. The message is subtle but clear: purchasing a GoPro is more than just buying a camera—it’s buying an experience. If there is one lesson we can take away from the success of these non-advertisers, it’s that a winning strategy—even without advertising—comes down to product and people. These brands focus on making high quality products. They trust people and the power of word-of-mouth to do the rest.